LG took the wraps off the G4 Beat mid-range smartphone. 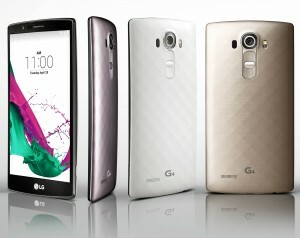 Previously leaked as LG G4 S, the newcomer, as its name suggests, features the same design as the Korean giant’s flagship smartphone. LG G4 Beat features a Qualcomm Snapdragon 615 chipset, 1.5GB of RAM, 8GB of expandable storage, and 5.2” 1080p IPS LCD display. The handset boots Android 5.1.1 Lollipop with LG UX 4.0. In most regions, the device will use an 8MP rear snapper with Color Spectrum Sensor and Laser Auto Focus, while select Latin America markets will get a variant with 13MP camera. The front-facing camera is a 5MP unit with Gesture Interval Shot. LG G4 Beat will first hit the shelves across Europe and Latin America in Metallic Silver, Ceramic White and Shiny Gold. Following that, the device will reach Canada, India, Russia, Singapore, South Africa, Turkey and other markets. There is no word on pricing yet.